Insert Swarovski crystal pearl art. 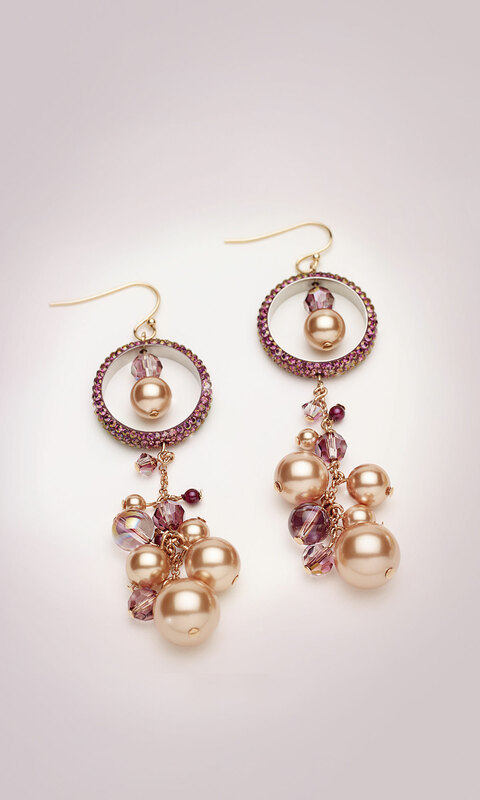 5810 8mm crystal rose gold, Swarovski bead art. 5000 6mm crystal lilac shadow and Swarovski pavé thread ring art. 85001/2 holes onto a headpin and turn a loop at the end. 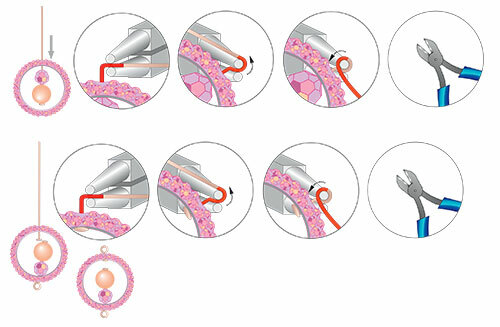 Insert a headpin through the other hole of the Swarovski pavé thread ring and turn a loop at the end as shown in the illustrations with this step. 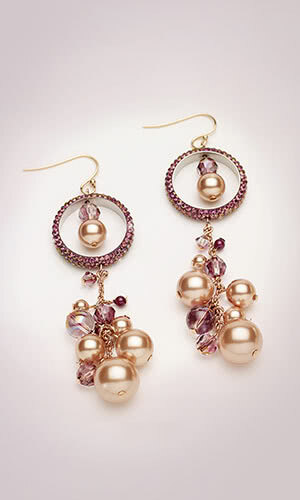 Open a French earwire and insert the headpin loop with Swarovski crystals on to it. Insert Swarovski bead art. 5000 6mm crystal lilac shadow onto an eyepin and turn a loop at the end. 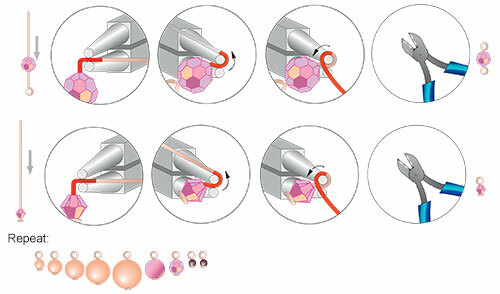 Repeat this step to create another eyepin and then create headpin loops with all other remaining Swarovski crystals as shown in the illustrations. Cut one 4mm, 6mm and 8mm lengths of chain. Connect the 8mm chain to the bottom loop in the pavé ring created in Step 1. Connect one beaded eyepin with the Swarovski article 5000 6mm crystal lilac shadow to the bottom of the 8mm chain and then connect the 4mm chain to the bottom of this beaded eyepin. Connect the 6mm chain to the bottom of the 4mm chain and then connect one beaded headpin with the Swarovski article 5810 12mm crystal rose gold pearl to the bottom of the 6mm chain as shown. Attach all the Swarovski crystals as depicted in the illustration. 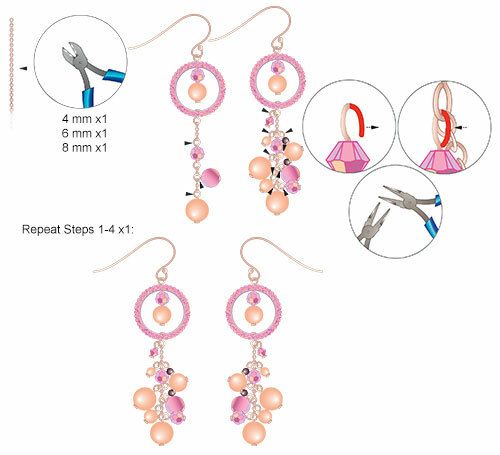 Repeat Steps 1 - 4 one more time to get another similar earring.